Interior design is fast changing. Gone are the days when people simply made drawings or even developed ideas in their own heads. For both clients and project teams, 3D models are becoming a near-universal expectation. This is particularly true for any project larger than a home renovation. Generally speaking, construction is updating for the 21st century, bringing on board various digital tools, techniques, and processes at lightning speed. Two of the most advanced functions when it comes to mapping and modelling 3D spaces are point cloud surveys and BIM (Building Information Modelling). Here, we will explain everything an interior designer needs to know to keep ahead of the curve and thrive in the digital future of design. Whether engaging with a new project from the ground up or renovating an existing structure, interior designers use structural designs to inform the basis of their models and planning. For a new project, BIM-enabled workflows make this easy. At its heart, BIM is a set of tools that enable a more collaborative design process. BIM processes make it easier to share and edit structural and design data using a number of different types of software and modelling programs. Interior designers are able to work more closely with other elements of the design and structural teams using technologically enabled workflow processes. It is important to remember that BIM is a technology and process rolled into one. For new projects, this starts with structural modelling and proceeds to interior design. For renovation projects, however, modern digital models are not always available. This leaves designers stuck either creating rough digital approximations, attempting to update older CADs or simply using more traditional analogue design techniques. Point clouds, however, allow for a completely different approach. An entire location can be captured using terrestrial laser scanners, and a highly detailed model can be constructed that designers are able to edit and access using digital design tools — a process called ‘scan-to-BIM’. The first thing that you need to understand about BIM is that not all BIM is the same. You will find competing definitions on the specifics and some sloppy applications of the term driven by a desire to make traditional technologies and processes seem new and up to date. Generally, wherever the term BIM is applied, it is an indication that there has been an introduction of greater collaborative capabilities into traditional, digital workflows. 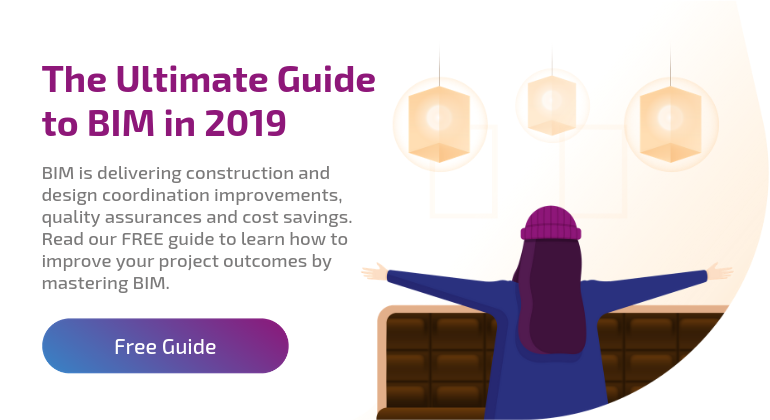 But, in order to access the true potential of BIM, you need to understand the different ways in which the term is applied, and seek out teams that are using the best practice technology and processes that BIM has to offer. The UK Government currently splits BIM into four different categories; Level 0, 1, 2, and 3. BIM Level 0 and 1 are basically just CAD and object-oriented CAD. BIM Level 2 places further emphasis on enhancing workflows. For something to be considered BIM Level 2, there needs to be a common data environment (CDE) in which files can be shared, and all associated CAD software needs to be able to export to industry standard file formats such as IFC or COBie. True BIM, however, turns this all on its head. Rather than starting with graphics-first design software, the design data is stored abstractly and within a single dataset. The specialist design software used by different elements of the team all access that one communal dataset, rather than creating duplicate files that need to be shared and updated. Although BIM Level 2 makes file sharing easy, the point of BIM has always been to make that sharing unnecessary — maximising collaboration. This type of software and process is relegated to the still undefined BIM Level 3 regulatory category. Using database-first BIM, it’s far easier to access many different types of software during design, and you can ‘spin up’ 3D models to show clients — improving your communication with them as well. Interior designers can even deploy animation programs to show what rooms will look like at different times of day or with artificial light. If you want to completely revolutionise communication, you can link 3D models with virtual reality headsets to take clients ‘inside’ a building. For a lot of design teams, point cloud survey technology can seem out of reach. The reason for this lies in its historical reputation for being rather expensive. This, however, is changing. One of the long-standing factors driving up the cost of commissioning a point cloud survey is the time-consuming nature of point cloud registration. Conventionally, this has been done using artificial targets in the field or more advanced targetless registration software that requires significant oversight throughout processing. Either way, it can take a considerable amount of time in the office or in the field to combine the many scans needed to gain site coverage. 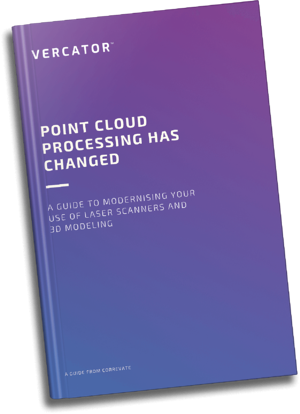 Advances in multistage, vector-based processing software are making registration procedures a lot easier — reducing the time involved in registering point cloud data by as much as 40%-80%. This takes the conventional registration process and breaks it down into three different alignment stages; rotational, horizontal, and vertical. Not only does this speed things up, but it reduces the necessary oversight — allowing most manual tasks to be front-loaded or relegated to the end of the process. For designers who are able to access survey teams using this technology, it can translate into cost savings on par with the efficiency increases delivered to point cloud processing time. This is creating the opportunity to deploy point cloud technology on many more projects. Design teams just need to make sure that they are partnering with the right surveyors to take advantage of these opportunities. The same goes for operations that are empowered by ‘true’ BIM vs. BIM washed variations of BIM software and processes. In all cases, partnering with the right people is critical to achieving the best and most efficient outcomes. Modern interior designers can improve collaboration, accelerate processes and achieve better outcomes by using the latest technology. You can now look at a detailed 3D model of a building, develop and iterate plans using any number of software applications and share those designs across a team of diverse specialists at every stage of development. For early-stage planning and renovation projects, point clouds deliver scan-to-BIM processes that enable the flexible application of the latest digital tools to any project. This technology is now more cost-effective than ever thanks to the strides made in targetless registration. 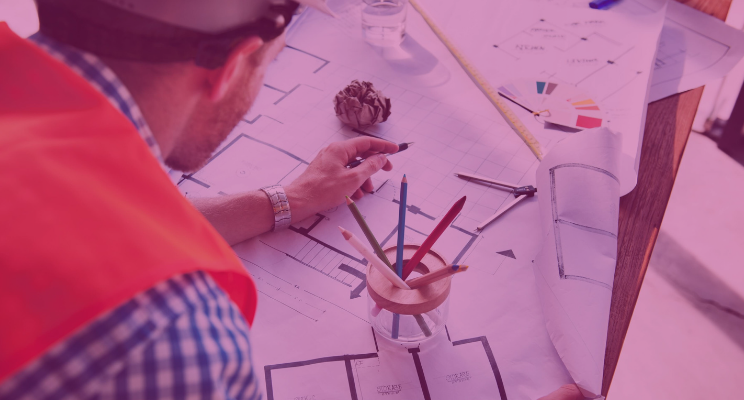 BIM makes it easier for you to work with other members of your construction team, take an iterative approach to design and improve your customer service. Point clouds allow you to deploy these processes to any project. Finding the right partners is how you access both of these capabilities at their full potential.